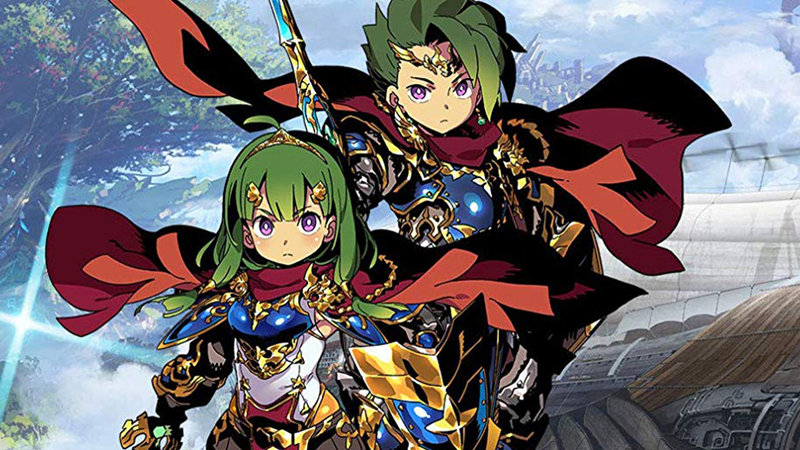 Even though it's one of the more niche franchises on the market, it's difficult for me to name a series more synonymous with dual-screen gaming than Etrian Odyssey. Starting as an easy-to-overlook, classic RPG on the Nintendo DS, the series has chugged along since 2007 with five main games, two remakes, and a Mystery Dungeon spin-off. It also influenced the creation of the Persona Q sub-series while remaining the premier dungeon-crawling RPG franchise to come out of Japan. I first latched onto the series with Heroes of Lagaard and have been a fan ever since. Etrian Odyssey Nexus, the final Etrian title for the Nintendo 3DS, is very much made with fans like me in mind. It's a celebration of the series, a victory lap for one of gaming's most dependable products. While it's the perfect entry point for people who've yet to try and scale a Yggdrasil Tree, those who have been with Etrian Odyssey from the start will get the most out of it. By now, everyone and their dog should know what the Etrian Odyssey franchise is all about. This is classic dungeon crawling focusing on combat, team building, and crafting detailed maps of the various dungeons you conquer. Nexus is no different, and after creating a team of five heroes for my impending journey, I'm ushered into an unexplored world as adventurers from all over take part in a veritable gold-rush of unseen riches. Right away I am enamored by the cavalier spirit of the game's characters. 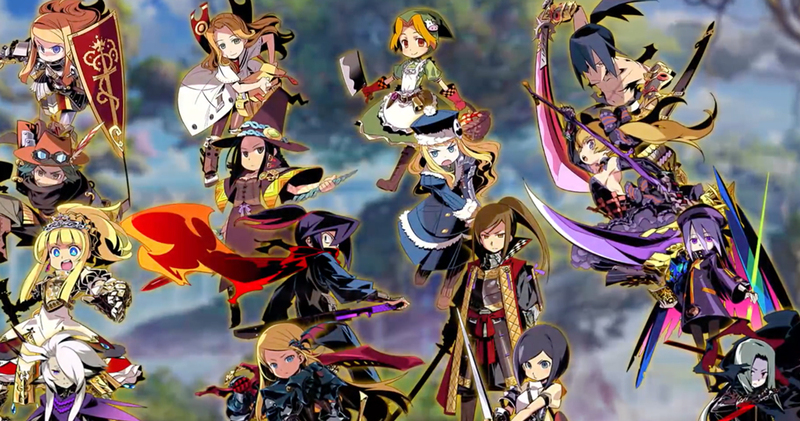 Previous Etrian titles had players exploring a labyrinth with a ready-built society around it. Everyone was already there, you were simply the adventurers arriving to create your own destiny. With Nexus, the game takes place in The Lost Islands of Lemuria, a location littered with small labyrinths that hold the key to a mysterious, long-lost society. There is no starting city on the ground, so Princess Persephone, one of the key NPCs of the game, brings one with her. The massive flying city of Maginia -- and yes I had to read that name several times before I started pronouncing correctly -- lands near the Yggdrasil and acts as the standard hub-world. 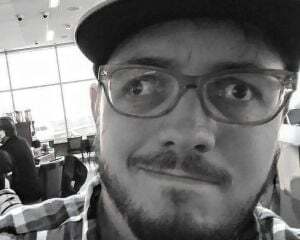 Unlike with past games, everyone here is new, seeing this world for the very first time. However, those who have played Etrian games before will quickly realize they're not seeing many of the labyrinths with fresh eyes. As a "celebration" of the series, Nexus includes several dungeons featuring the same design aesthetics of ones found in past titles. Waterfall Wood, Primitive Jungle, and Lush Woodlands are just some of the returning dungeons, bringing along with them popular enemies, FOEs, and characters from the first four entries in the franchise. There are wholly new labyrinths ready to be mapped either by hand or with the limited auto-map feature; however, I don't particularly believe they represent anything beyond what we've seen before. I'd argue they're certainly a step down from the out-of-this-world designs found in the later floors of the Etrain Odyssey V Yggdrasil. There is an aura of déjà vu permeating throughout Nexus -- obviously by design -- but because of how long it's been since the first four games in the series released, it doesn't ever feel stale to me. While I'm not entirely on board with some of the dungeon gimmicks, particularly the Giant's Ruins, it's still an incredible rush to clear these labyrinths, floor by floor, barely surviving by the skin of my teeth. I do that a lot early on as I slowly level-up my team, but around dungeon 10 -- this is one long game -- I reach a point where monsters should be more afraid of me than I am of them. How easy or difficult the dungeons are is up to the player. Nexus features four distinct difficulty modes ranging from picnic to heroic. I opted for the third most difficult setting -- for the sake of getting this review done in time -- and created what I realize is a pretty boring team that's able to thrive against most any enemy. I played it safe, but Nexus features 19 different classes to choose from, allowing for some rather unusual groupings. 18 of those classes return from the previous five titles. The lone new class, Hero, is a well-rounded front-row warrior with an ability called Afterimage. If activated, the Hero will create a mirage of themselves that will repeat the last action the Hero used. It only lasts for a single turn, but the class's strength makes it a dependable leader for my main team which consists of a medic, a gunner, a protector, and an arguably over-powered sovereign, who only becomes a more unstoppable killing machine when I unlock the ability to give my team sub-classes. In combat, Nexus doesn't do anything to rock the boat. It's still the same two row, front-and-back set-up it's always been. After experimenting with Union Skills in Beyond the Myth, Force Boost and Force Break make a welcome return. Fighting your way through the monsters of each labyrinth will build your Force Meter and when it's at 100%, you can activate the Force Boost to temporarily enhance your character or go whole hog with the Force Break, which is either a devastating attack or impenetrable support move that shatters the character's Force Meter until they return to town. Like with everything Etrian does, it's a risk/reward mechanic that benefits those who use it to its fullest.